At Jacksonville Eye Center, we have provided excellent eye care services for the greater Jacksonville area for over 30 years. We are proud to offer a very broad range of advanced surgical procedures for our patients. With the latest advancements and technology in vision care available at the Jacksonville Eye Center, there has never been a better time to visit us and find out more about your eye care options. 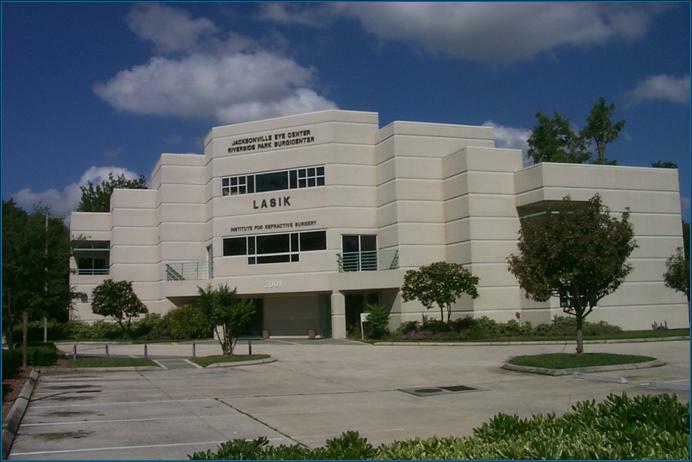 Jacksonville Eye Center is proud to be the leader in LASIK surgery in Jacksonville, Florida and the Southeast. Having performed countless LASIK procedures using the Allegretto Wave and blade-free IntraLase technology, Dr. Schnipper and Jacksonville Eye Center have earned a prestigious reputation for its success in LASIK. Affordable payment plans put the latest in laser within reach of everyone. See what you’ve been missing with laser vision correction. Have Questions? Contact us at 904-355-5555 for more information. Dr. Robert I. Schnipper, Ophthalmologist and LASIK surgeon at Jacksonville Eye Center, has a philosophy that no matter what age, you can have youthful vision! Using advanced technology, Dr. Schnipper’s goal is to provide his patients the best possible (optimal) vision at every age. At a thorough consultation with Dr. Schnipper, he will be able to determine which methods of vision correction would work best for you depending on your age group and your current vision. Kids up to age 17 – For children and teenagers under the age of 17, Dr. Schnipper will suggest either glasses or contact lenses for vision correction. Ages 17-44 – LASIK surgery is the best vision correction option for people in this age range. 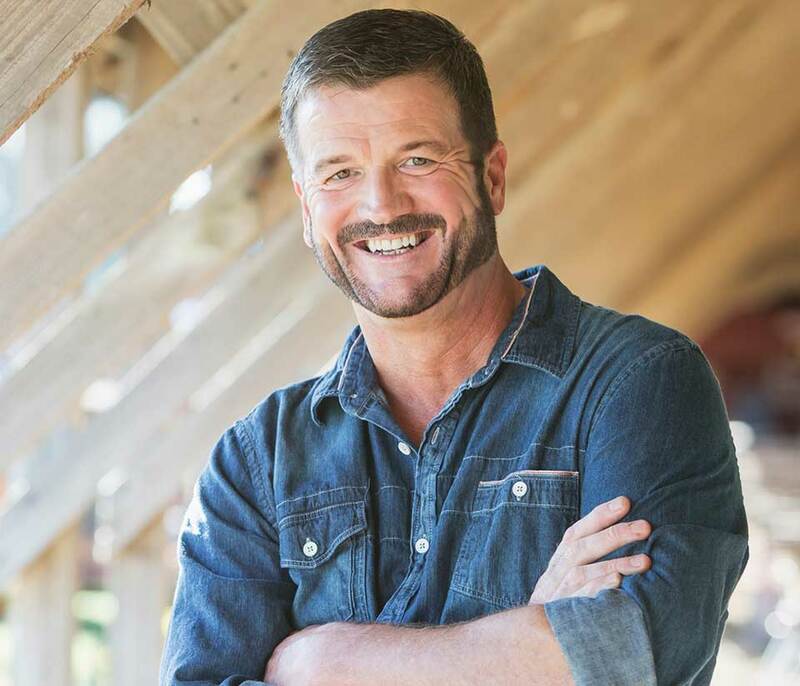 Ages 45-60 – For these adults, Dr. Schnipper may suggest LASIK laser vision correction, KAMRA inlay, or refractive lens exchange. Ages 60+ – For seniors, cataract surgery may be the best option. 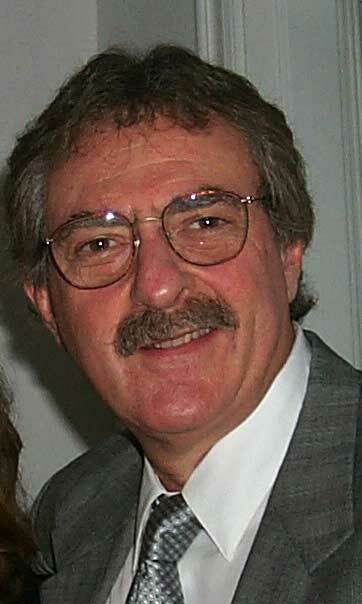 Dr. Schnipper will also discuss a variety of IOL (intraocular lens) options. To determine which method of vision correction is best for you, schedule a consultation with Dr. Robert I. Schnipper at Jacksonville Eye Center. During your consultation, Dr. Schnipper will do a thorough examination and discuss all of your options. Contact or call us at 904-355-5555 for more information. 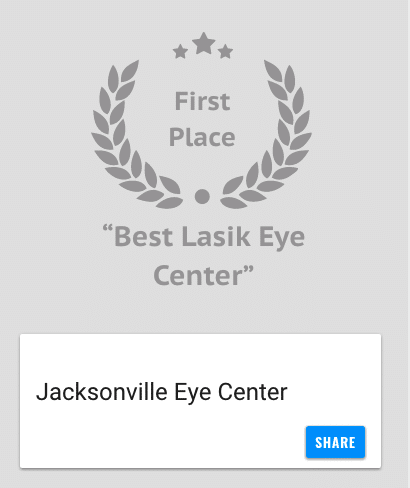 Dr. Schnipper and the Jacksonville Eye Center received first place for Best Lasik Eye Center and Best Lasik Eye Doctor for the Folio 500 Best of Jax Awards 2018! As a leader in the field, Dr. Schnipper knows the technology and procedures are always changing, increasing the potential to improve his patients lives. All-laser LASIK is a genuine breakthrough, and you can experience the future now at the Jacksonville Eye Center. Advancements in technology now give you a new choice! You can choose to upgrade your cataract surgery procedure by opting for premium lens implants. 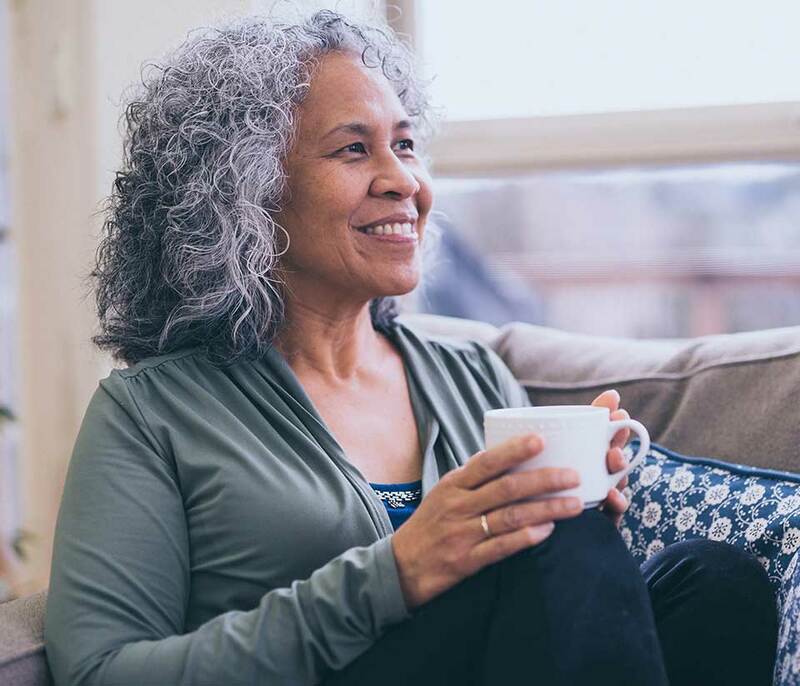 These newer, FDA approved lenses have helped thousands of people rid themselves of glasses after cataract surgery for near, far and intermediate distance vision! Are you tired of the hassles of reading glasses? At Jacksonville Eye Center there are options available to help you reduce or even eliminate your dependency on reading glasses. Free yourself from the constant frustrations of reading glasses. Learn More about Kamra Vision! Are you ready to learn more about the vision correction options available at Jacksonville Eye Center? Click here and request an appointment! Do not let your financing stop you from getting the clear vision you deserve! Check out the financing options available at Jacksonville Eye Center. Is LASIK Laser Vision Correction right for you? Complete our quick online questionnaire and find out! 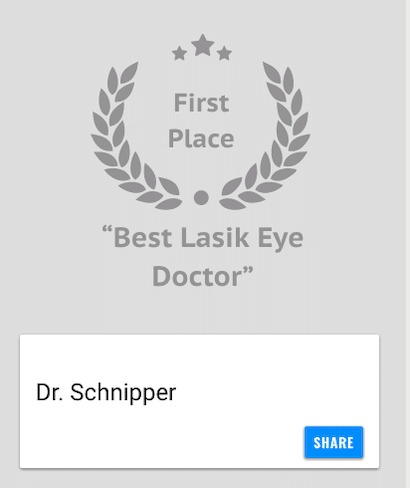 Pioneer, teacher, advisor, eye physician, and board-certified LASIK specialist, Dr. Schnipper has been a leader in ophthalmology in Northeast Florida for more than 25 years. He founded the Jacksonville Eye Center in 1972 with a commitment to continually improve his patients’ lives with the safest, most accurate procedures, and he continues to bring leading-edge technology to this region. His reputation has spread far beyond Jacksonville, and patients often come from great distances for his consultation and care, while eye surgeons from around the world travel here to learn his advanced techniques.